“Diesel powertrains are the technology of choice for commercial trucking because of their unique combination of power, efficiency, durability, range, reliability and performance” said Finkin. That has certainly been the experience for Florida Power & Light’s 3,600+ vehicle fleet, which has been using B20 successfully for twenty years. The FP&L fleet has consumed around 2.5 million gallons of B20 biodiesel blends annually since 2003. 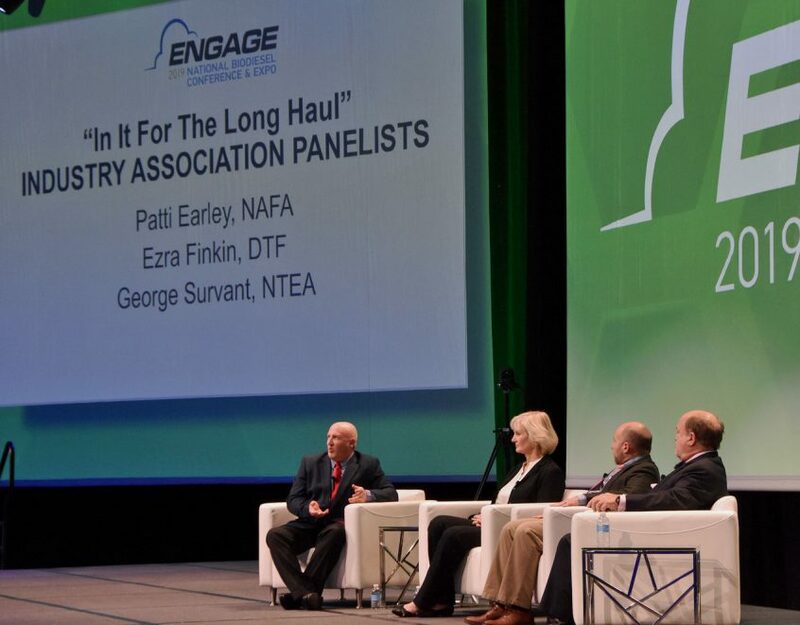 “The FP&L fleet has driven well over 150 million miles on B20 biodiesel blends with continually positive maintenance, performance, and mileage results and no biodiesel related issues,” said Earley, who is incoming President of the NAFA Fleet Management Association. 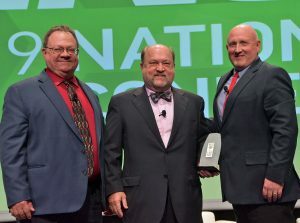 Survant accepted the National Biodiesel Board Industry Partnership Award on behalf of NTEA, which represents more than 2,050 companies that manufacture, distribute, install, sell, and repair commercial trucks.